Ghoul's got charms! Every ghoul can collect over 100 charms! Ghoul's can collect charms, trade charms with their best ghoul friends, and best of all- wear their charms! 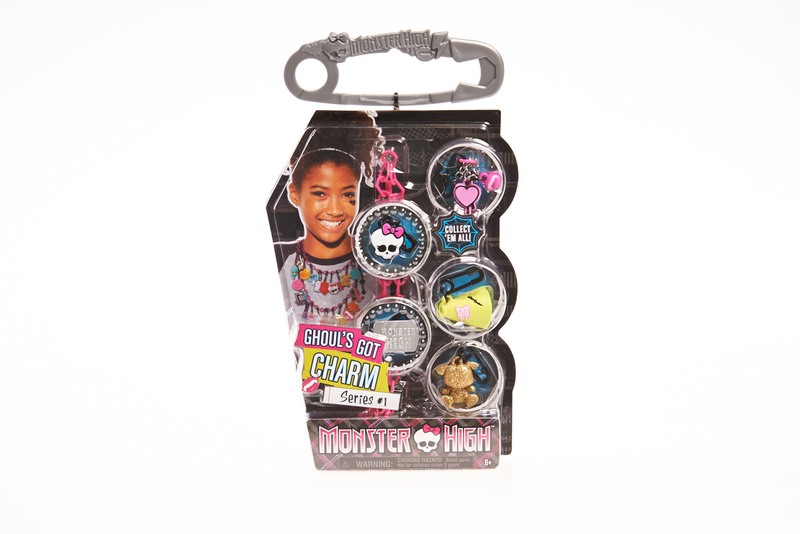 Charms vary in each pack and feature iconcic Monster High moments, shoes, purses and so much more from Monster High! The charms feature detailed sculpts, fun finishes and plastic fasteners that allow for easy attachment of charms to any Monster High charm creation! Ages 6 and up.